Most of the arguments of CETA‘s critical voices and its ratification are based on the issue of recognition and protection of Geographical Indications in Canada. The subject, as has been observed several times in the field of in-depth analyzes carried out by the Centro Studi Italia Canada, is particularly felt by Italian agro-food operators. In fact, Italy has 822 products registered at European level out of 3,036 total in the world, an economic asset worth 15 billion euros, about 8 billion exports. The CETA, the Comprehensive Economic and Trade Agreement, signed between Canada and the EU, has recognized (and therefore placed under direct protection) over 42 Italian GIs, about 5% of the total (in numerical terms), which, however, are worth the 90% of the total value of Italian GIs exported to Canada, a decisive step forward that has opened enormous opportunities for Italian exports growth. In this regard it should be noted that before the entry into force of CETA, some top-quality Italian products related to known geographical identifications (Prosciutto di Parma, Prosciutto S. Daniele, Parmigiano Reggiano to name a few) could not be sold with their denominations, but only through generic names, with consequent loss of the value constituted by the Geographical Identification, which, can guarantee the quality of the product and therefore its recognizability and consequently positioning on the market. With the entry into force of CETA, products of high quality and economic value that until then were not sold in Canada are recognized and protected. And the other European (Italian) GIs not recognized by CETA will still not be admitted and protected in Canada? No, it’s not that. 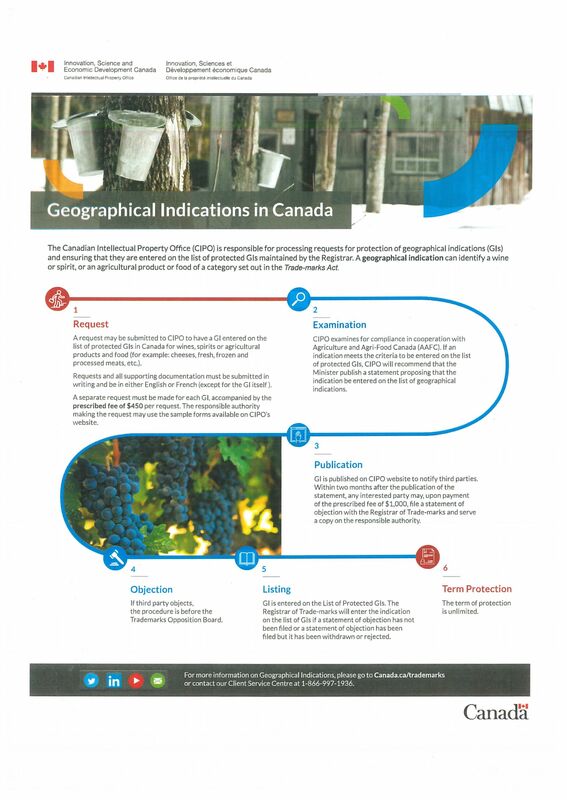 Both through CETA and through a new procedure for the recognition of new GIs in Canada, which is now established by the Canadian legal system, it is possible to recognize our Geographical Indications in Canada. 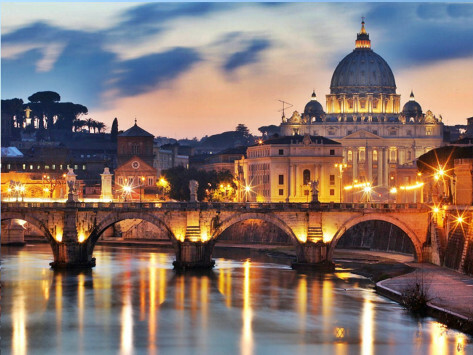 This was precisely the subject at the center of the meeting, organized in Rome on January 31 at the Embassy of Canada in Italy, addressed to all operators in the agri-food industry: production consortia, trade associations, competent Ministries, companies. The interest in Italy is very high and it was demonstrated by the numerous operators who crowded the council chamber of the Embassy to receive valuable information about it. The Minister Counselor of the Embassy of Canada Edith St-Hilaire presented to the public at the event, the Canadian authorities competent in the field of Intellectual Property and in particular Geographical Indications, who were responsible for carrying out a detailed report on the system of expected protections in Canada: Loris Mirella e George Eleftheriou, Intellectual Property Trade Policy, Andrea Flewelling, Innovation, Science & Economic Development, Erica Fraser, Candian Intellectual Property Office, Mark Burgham, Canadian Food Inspection Agency. legal reasons: the TRIPs Agreement and subsequent processing with the recognition of GIs in the field of wine and spirits. The speakers then went on to examine the provisions of CETA and, with regard to the protection of GIs, from the Canadian Trade-Marks Act, the new Canadian legislation on intellectual property. The elaboration and enactment of the Canadian Trademark Act took place precisely in consideration of the next entry into force of CETA, with the aim of aligning the Canadian and European regulations as much as possible. As repeatedly emphasized, before CETA in Canada there was no protection of geographical indications denoting food and other agricultural products, including cheeses and meats, both Canadian and those from other countries. CETA obliges Canada to maintain the pre-existing procedure for the protection of Canadian consumers regarding labeling. This procedure prohibits anyone from producing, preparing, packaging, labeling, selling, importing or advertising food products in such a way that they are false or misleading or deceptive or that they give only a slight impression of having an incorrect origin. procedures are provided for obtaining the protection of new geographical indications for agricultural products and foodstuffs, and the management of the statements of objection. In addition to the possibility of adding Geographical Indications to the list of those recognized by the CETA through negotiation between the parties, (which, also because of the mixed nature that the EU wanted to attribute to the Treaty with all the consequences that derive in terms of ratification from part of each State, it will take long times of realization), the Geographical Indications not present in the list (referred to in the attached attachment 20-A of the agreement) will be able to obtain the same protection through a more agile and fast procedure: the so-called “OPEN SYSTEM”. 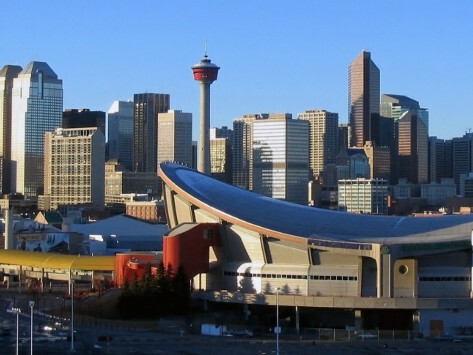 After the implementation of the CETA and the result of the entry into force of the Trademark Act, this is the easiest way for Italian GIs to obtain protection in the Canadian market. The procedure has already been successfully tested by an Italian IG: Prosciutto di Carpegna, not included in Annex 20-A of the CETA agreement and now recognized and protected in Canada as a Geographical Indication. 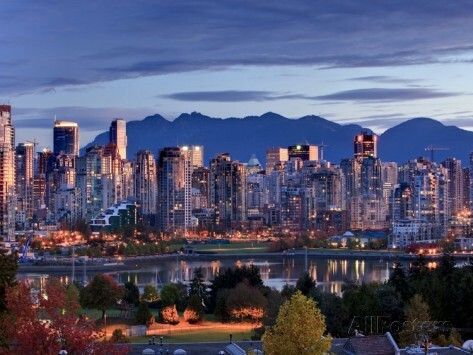 The CIPO, the Canadian Intellectual Property Office, is responsible for the protection claims of the GIs in Canada and ensures they are included in the Trademark Registrar of the protected product list. The application must contain information about the holder of the intellectual property right and the IG for which recognition is required (https://www.ic.gc.ca/eic/site/cipointernet-internetopic.nsf/eng/wr04246.html) including: Geographical indication, translations in all languages for which protection is required, common name of the product, category to which it belongs, territory, region or locality in which the product is identified as originating, the applicable laws protecting the geographical indication in the territory, region or locality where the foodstuff or agricultural product is identified as originating, description of the quality, reputation or other characteristics of the agricultural product or foodstuff which are essentially attributable to its geographical origin, information relating to the responsible authority. The certificate of payment of $ 450 should be attached. 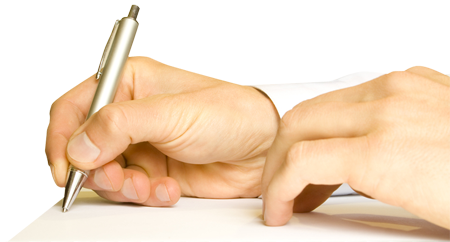 The CIPO examines the compliance of the request sent, in cooperation with Agriculture and Agri-Food Canada. The publication of the notification of the request on the CIPO website for two months responds to the need to inform third parties, possibly holders of a previous right. In the event that a third party objects, the procedure passes into the hands of a special council that evaluates the opposition issues. In case of rejected opposition or no opposition, the product is included in the list of protected GIs. The protection of GIs is unlimited and does not require renewal. Much has been said in Italy about the – alleged – inadequacy of the protection of GIs in Canada. The system is actually effective and modern, based on common principles, through well defined procedures and an effective system of sanctions. When an IG is used improperly, a “moral persuasion” can be requested from the producer and simply be notified that the rights of the IG holder have been violated. This “moral persuasion” can usually be enough. Otherwise, you can sue the infringer and ask for a ruling. As well as in our legal system, the free procedure for requesting assistance from the Canada Border Services Agency (CBSA) in case of violation of registered trademarks and GIs is considered to be very important and effective, GI holders may obtain a denial order to enter the country by submitting a request to the Canadian Customs Agency and Border Control. The agency has the authority to keep goods at the border if it has the suspicion that they contain counterfeit GIs. Once the goods have been seized, CBSA informs the holders of the right that they can take legal action. Article 20.19 (4) of CETA specified that Canada should provide for administrative measures concerning complaints for the product labelling, in particular if it could create an improper impression as to their origin. Any citizen in Canada may report a food safety problem or a label claim to the Canadian Food Inspection Agency. The day of work, organized at the Embassy of Canada, helped to clarify many of the concerns that CETA has raised in the part related to the recognition and protection of GIs and this has also emerged during the long question time that ended the morning of work. The impression is that those who still tenaciously oppose to CETA and Canada appear to be animated more by ideological motivations than specific. Studying, deepening, evaluating and discussing, with a view to a desired ratification, are always useful activities and the best protection of Italy’s interests remains the objective. In this sense and very effectively, the television program “Presa diretta”, broadcast on RAI 3 last January 21st, intervened: the topic under examination was the Tariff war with a specific focus on CETA. The arguments “against”, even if carefully examined and analyzed, appeared to be few, and instead, there are many success stories of companies representing various product sectors. Among these, the food industry is one of the most satisfied, both among the GIs included in the now well-known attachment 20-A and among the others still unrecognized, with a considerable increase in the turnover produced with exports to Canada, at a time of economic situation that, also due to the closure of the markets promoted by the US administration, sees a general slowdown in trade, a phenomenon much feared by Italian entrepreneurs who have always had the way out from every crisis thanks to the exports.